How To Quickly Speed Up A Slow Android Phone? Android has become the most popular phone now. However, when you used an Android Phone months later, you will notice that the phone that was speedy earlier has slowed down to a great extent. So it is time to take some corrective actions to make the phone run faster. Also, you find that there is lag at inappropriate places and the good news to you is that things need not have to be this way anymore. There are some simple tricks and tips that will help you to speed up your phone, such that you can bring back its performance. Here are some suggestions that will help you in this regard. You might have been using some applications very frequently earlier, but for some days now, you might not be visiting those applications. You can just uninstall these unused apps, and if you do not want to uninstall, you can at least disable them from self-launch for a while to speed up your phone. The reason for slow performance is that your phone has a limited amount of internal storage and lesser free space. If you have filled up you phone with a number of applications, music and photos, it is time to free up some space by uninstalling unused applications or by moving some files to the cloud storage services like Google Drive and Dropbox to speed up your phone. Uninstalling apps can be done by visiting the settings page and opening the application menu. After visiting this menu, just select the apps that you want to uninstall. 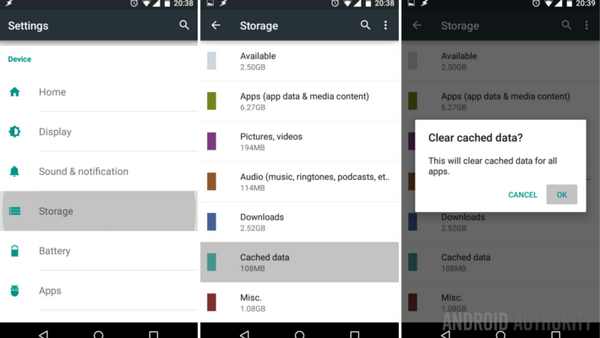 You can bulk delete apps with Android Device Manager. But, the thing to remember here is that some applications came as pre-loaded on your phone and they can not be uninstalled unless the phone being rooted. However, these applications can be disabled and can be hidden from the app drawer. 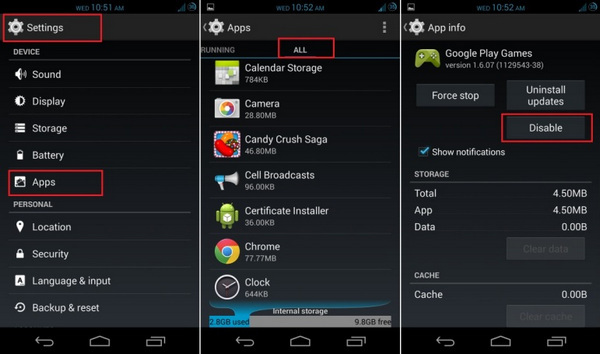 If you do not want to uninstall, you can just move the apps to microSD card if your phone has expandable storage. You can do this by visiting the same settings page and selecting the option 'move to the SD card'. You should remember that cached data can gather in your applications over time and can bring an effect on the performance of your phone. You can delete caches individually by visiting the apps menu. But, you can automate the process with the help of many free applications that you can find from Google Play Store. It is true that most Android users feel that widgets are the biggest benefits associated with their phone. The reason is that they are generally helpful in finding information swiftly without having to open applications, but the problem with them is that they can consume a lot of battery life and can also slow down the performance of your device. Widgets can be removed from the home screen, and this can be done by pressing for long on the particular widget that you do not want to be present and pulling the same to the top of the screen. The above suggestions only list the major factors to affect the performance of Android phone. To make the phone run fast, you should make sure the internal memory is enough as well as free storage. This is the most important thing you should remember. You can do this by uninstalling apps or kill background process that runs automatically. For Android phone lower than 6.0, I highly recommend to root the phone so you can have the maximum control of the device.